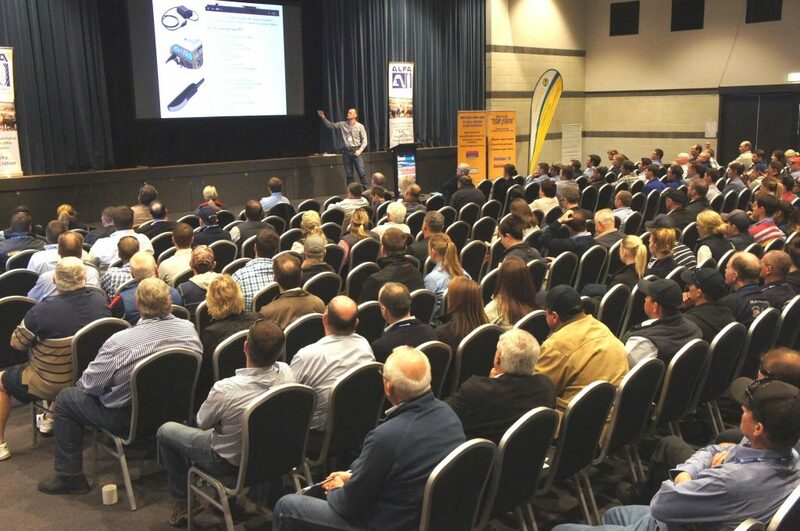 LOTFEEDERS voted unanimously to support a move to deregulate the four components of the grainfed cattle transaction levy at their annual general meeting last week, in a move designed to allow greater flexibility in how levy funds are apportioned and managed over time. Currently, the $5 grainfed cattle transaction levy has four levy components (marketing, R&D, Animal Health Australia and National Residue Survey) which are each enshrined in various regulations. Accordingly, to change the allocation between levy components, an arduous, protracted and potentially costly parliamentary process must be undertaken. Given the involvement of regulation, the current administration and management of these levy components conflicts with what today is a very dynamic livestock industry. The proposal to deregulate the levy components (while keeping the $5 total in legislation) is designed to protect funding for key programs like Livestock Production Assurance, the National Livestock Identification System, the National Feedlot Accreditation Scheme and the National Vendor Declaration program, while also providing a more flexible framework to improve levy reserve management. The grainfed sector’s move down this path could be a portent for other red meat industry peak councils to follow, ALFA believes. A number of options were explored before the model presented to members last week was settled on. ALFA’s chief executive officer Dougal Gordon said the final recommended model was much more flexible than the current process, and more consistent with the current livestock industry environment. Mr Gordon said currently, ALFA was able to consult with its levy payers more easily than other peak industry councils. That’s because ALFA knows who its levy payers are, it has their contact details and the levy payers are comparatively smaller in number. Another benefit was that the proposal would deliver a system that meant service providers would receive funding which was more in line with their level of performance. “As an example, MLA at the moment gets $4.58 from the grainfed levy, irrespective of its performance. That applies to every service provider, but having that ability to move money around would mean we had the flexibility to say to an MLA, a National Residue Survey, or an Animal Health Australia, that we can adjust those levy amounts, based on their performance,” Mr Gordon said. In preparation for members’ vote on the subject last week, ALFA had consulted extensively with the Federal Government and Minister Joyce’s office, specifically. “Because this is a new way of administering and managing levies, it was important to ensure that there were no issues to prevent this occurring. We’ve also consulted with all grainfed levy payers through a survey,” Mr Gordon said. Outgoing ALFA president Don Mackay, who chaired last week’s AGM as his final official duty before stepping down, asked what protection mechanisms would exist under the new system, from the government’s perspective, that an ALFA council might make decisions over the levy that were not in members’ interests. “Firstly, it’s not the ALFA council that would make the decision over how levies are distributed each year,” Mr Gordon told the meeting. “The ALFA council, under legislation, is required to put a proposal to levy payers, but ultimately it will be the levy payers themselves who will decide how those allocations are made each year,” he said. The process was not going to be revolutionary in the way that funds are allocated, so much as evolutionary, he said. Will other peak councils follow suit? ALFA member Kev Roberts, from Sandalwood feedlot near Dalby, asked how much influence or guidance ALFA had been able to exert on other industry peak councils to go down a similar path. “We’ve given other peak industry bodies our model, and our thoughts on how they could go forward with similar plans in their own organisations,” Don Mackay said. “We’ve discussed the proposal at length with the other councils. They have exactly the same issues that we do, as grainfed levy payers, around funding of schemes that we are all involved in, like NVDs, LPA and other programs fundamental to our ability to produce and export a high quality, safe product,” Mr Mackay said. “That’s a great pity, but underneath, the grassfed sector has exactly the same view as we do on this matter,” he said. Mr Gordon said the other peak councils were supportive of the concept, but it was about the practicalities of implementation from their point of view, where they had a challenge. This deficiency had been highlighted in recent Senate Inquiry hearings, and a recommendation had been put to establish a database of levy payers, within all agricultural sectors. While ALFA is at liberty to progress the grainfed levy changes without the support of the other peak councils, given each levy component is captured within up to three regulations, it will be necessary for ‘broad, sweeping regulatory change’ to occur before the process can be brought into force. “We may still be having this discussion this time next year, depending on any number of parliamentary processes. It means this won’t be implemented within the next 12 months, unfortunately,” Mr Gordon said. “It’s a good creative step, and I hope we can lead the industry charge on this one,” Don Mackay said. Because the changes required a complex legislative process, there was a ‘real opportunity’ for other peak councils to implement similar changes at the same time, ALFA members were told. “I think the cattle and sheepmeat councils and their levy payers should try to expedite their own processes to get approval (if possible). This way the industry only has to go through the parliamentary legislation process once,” Mr Gordon said. The motion to support the levy deregulation process was supported unanimously by ALFA members at Thursday’s AGM. Where is the actual motion to read?